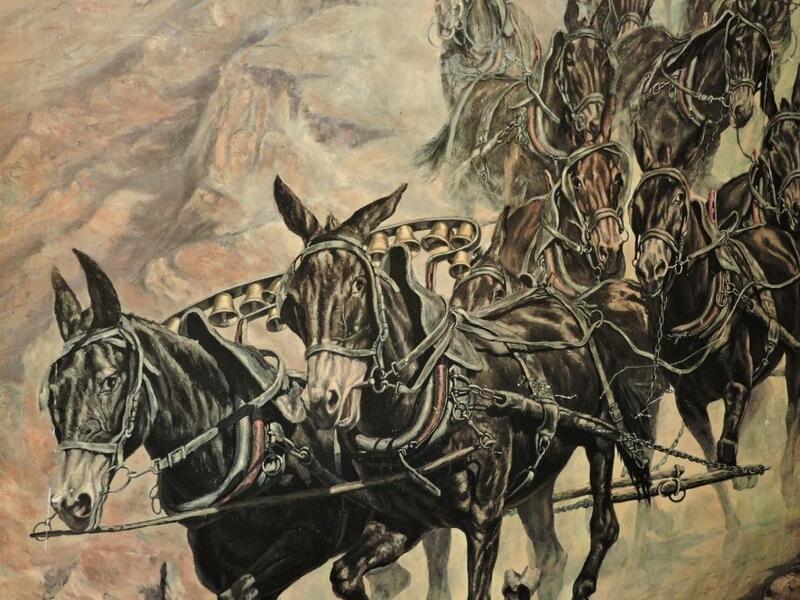 "The Twenty Mules Of Death Valley"
Just look into the eyes of the Mules in the Artwork!! Fierce, Determined and On a Mission!! 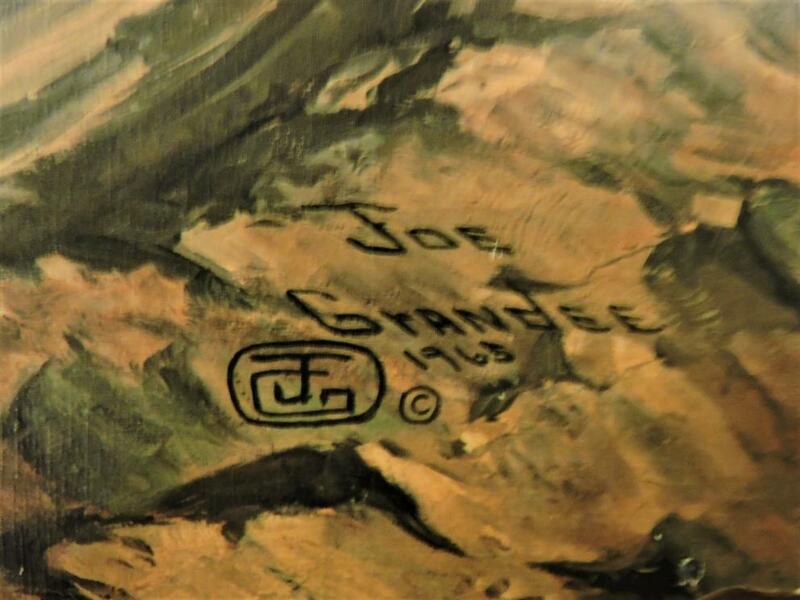 This special work by Grandee was commissioned by the United States Borax Company. Most homes early in the past century used Borax that originated from Death Valley. 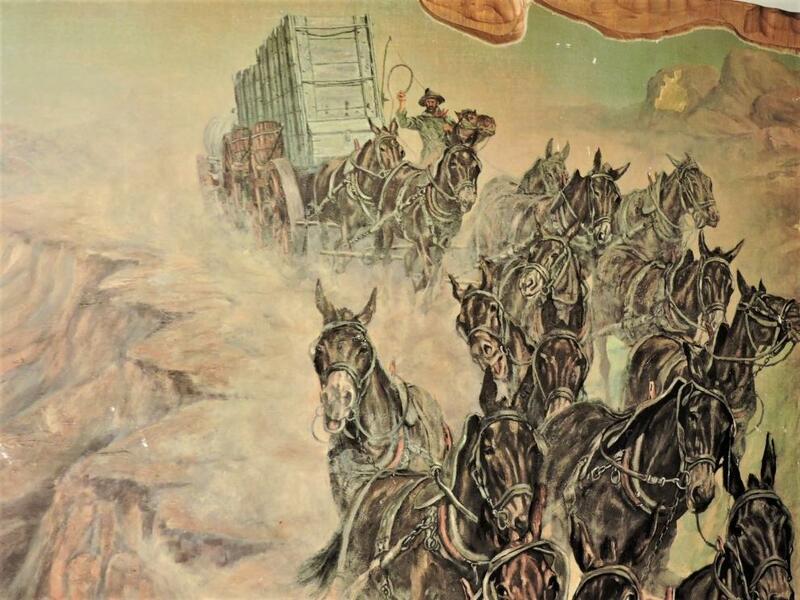 Artist "Joe Ruiz Grandee" created an action vision and feeling of the terror and danger of the wagon driver, the animals and wagon being pulled by 20 high strung Mules. With the Wagon unloaded heading for another load these animals are clearly on a mission. Interestingly this print has been placed on a "Pine Board". 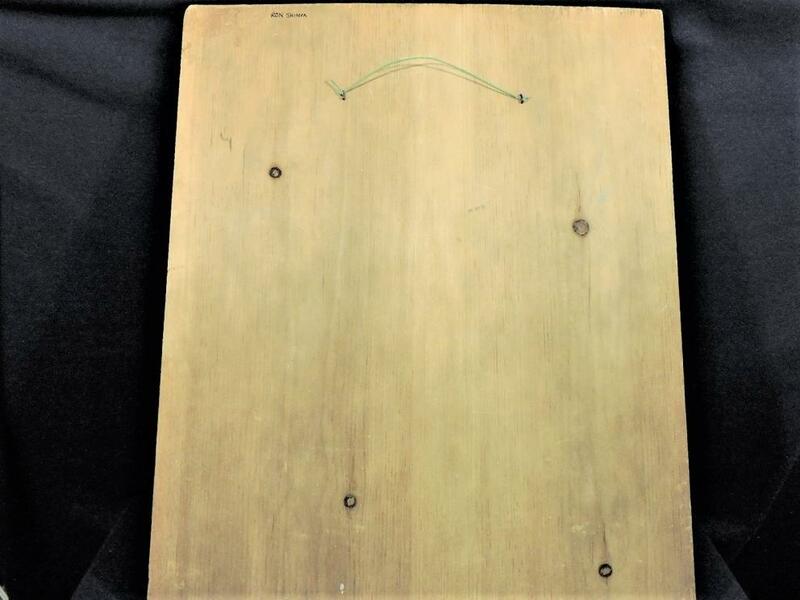 Yes, a Board, a "One Piece" 20 inch wide by 25 inch by 3/4" Pine Board with only four very small pine knots. This board came from an incredibly large Pine Tree to have an almost clear finish. Trees of this size producing quality boards of this size have long been harvested. The Board is Special! The work of framing/placing the Grandee Print on the Specially Sized Board appears to be the work of Ron Shimpa. Research has not revealed Mr. Shimpa's background. 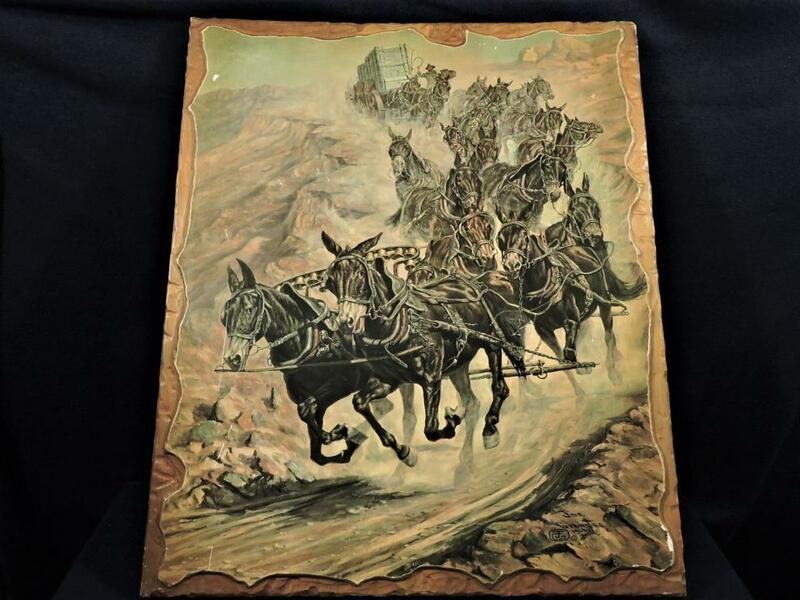 Collectors of Western Nostalgic Artwork and Vintage Items will be interested in this piece of Grandee American History.